The process of learning is very unique to each of us. While we may all use the technique of metacognition, it is important to understand what it means so that we can use it as an effective tool to modify our own learning behavior. Many people think of metacognition as a process of thinking about thinking which may not be an accurate way of describing or understanding the process. Actively monitoring one’s own learning and making changes to ones own learning behavior and strategies is a large part of building the skill of metacognition. Therefore, Metacognition is when we plan, monitor, evaluate and make changes to our learning style. Metacognition refers to what learners know about learning and what do learners do about learning. Knowing about their learning is the knowledge that learners have about their learning. I will have to re-read this chapter to understand this better- learner’s knowledge of different strategies that she can use. Metacognitive regulation on the other hand refers to what the learners intend to do about learning. It is how they intend to control their cognitive processes. The process is cyclic and can be described as: Planning, Monitoring, Evaluation. The key concept underpinning Metacognition is, developing the art of reflection. Reflecting at each stage helps in course correction and understanding oneself. Lev Vygotsky (1896-1934) developed the idea of the Zone of Proximal Development. It is the zone were the a teacher or an adult, who is the More Knowledgeable Other , helps the learner achieve the learning outcomes. The teacher takes the responsibility of setting goals, monitoring them and supporting the students to take a more active role in their own learning. Gradually, the responsibility of these cognitive processes is given to the learner thereby building student agency. Tactic learners: They understand metocognitive knowledge but do not engage in any strategy to engage and enhance their learning. Aware learners: They engage with some strategies but it is not deliberate thinking. More serendipitous in nature. 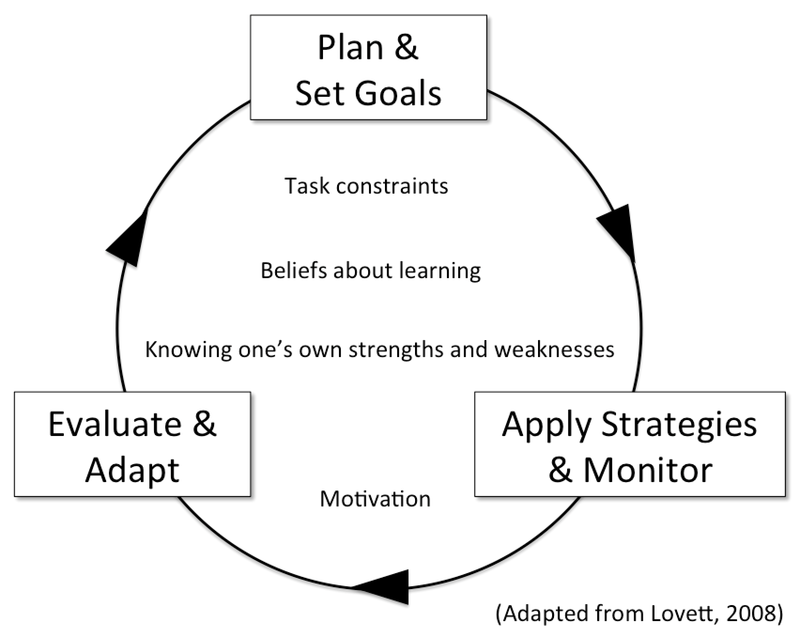 Strategic learners: These learners know and apply strategies that help them learn. They organize their thinking by classifying, planning, problem solving etc. Reflective learners: They are strategic in thinking and reflective in their learning. They reflect on their thinking, strategies adopted, learning, result and continue to revise and make them more specific to enhance their learning, showcasing spiral learning. Once an assignment is returned to the learners, what they are keen to see is the grade awarded to them. There is no active learning if they do not engage in reflective practice. Exam wrapper is a technique when used by teachers, engages the student in thinking and reflecting on their learning. These examples of exam wrapper worksheets can be adapted by teachers to support the learning process of their learners. Teaching their peers or juniors, or modeling teaching is a good strategy for learning new concepts. Thinking journal is a powerful active learning tool where they can reflect on their thinking. While learners are mostly encouraged to read, it is important that they are also encouraged to write. Journal writing process encourages learners to question, connect ideas, and explore learning. Based on their individual choice, the learners can decide to maintain an analogue or digital journal. Learners are given a prompt at the end of class and are asked to write a ‘minute-paper’ on an index card. This allows them to think and express their ideas. This engagement helps them understand what they have learnt, what they still need to learn and possibly how they will learn. A KWL chart can be a good starting point. The KWL chart can also be created on a class padlet wall that allows learners to post their thinking and support their peers in developing their understanding of concepts. This activity can link up well with reciprocal teaching.